Early bloomer. 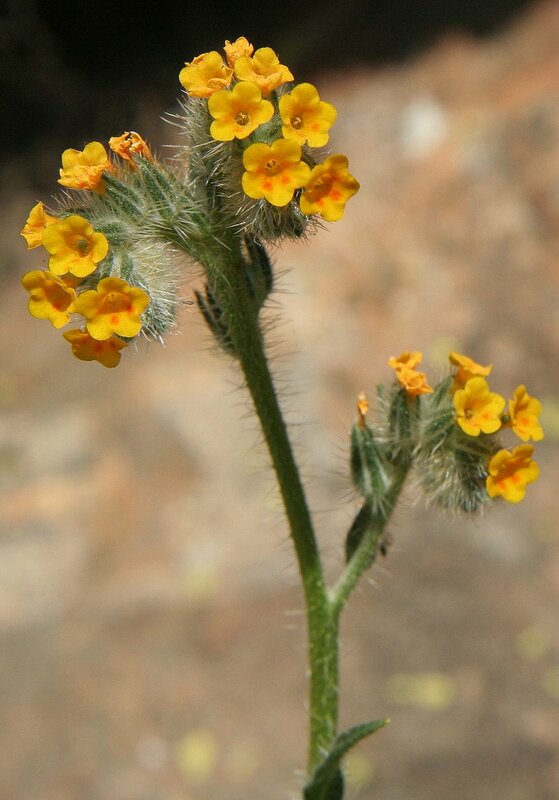 Orange-yellow flowers on a curved, hairy stem. Food for the painted lady butterfly, toxic to livestock and horses. Notes: Borage Family, the same as the Popcorn Flower and Forget-Me-Nots. 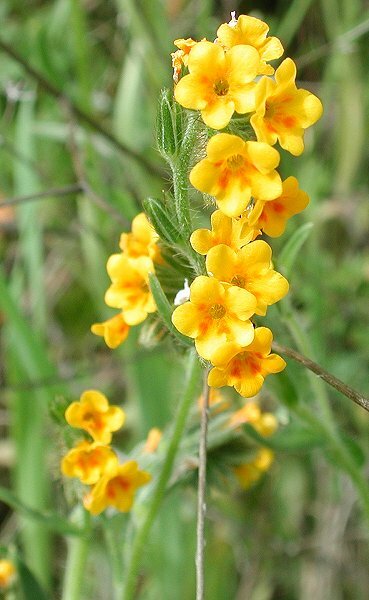 Small trumpet-like flowers on a distinctive coiled “shepherd’s crook”. To some the coil looks like the curled top of a fiddle. Its is common in disturbed, open areas. The hairy stem can be an skin irritant to some -- best to warn the public of this. Peterson and Niehaus both give the Fiddle Neck as: Amsinckia intermedia. 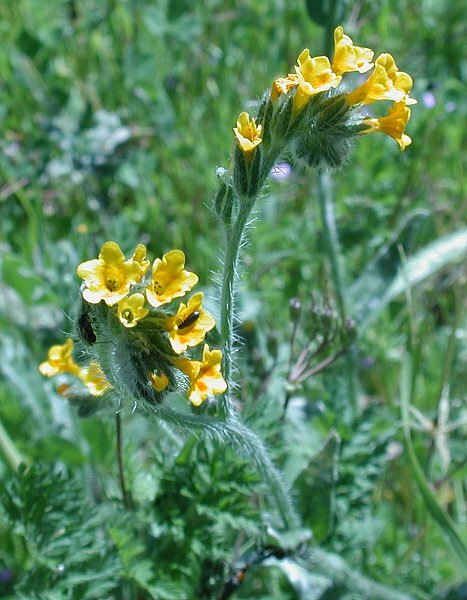 USDA lists A. intermedia as "Common Fiddleneck" while A. Menziesii is "Menzies' Fiddleneck" (see below and click on link for more complete classifications). Species Amsinckia menziesii (Lehm.) A. Nels. & J.F. Macbr.